“I enjoy rivers and being on the water,” says Clackamas Soil and Water Conservation District at-large director, Roger Fantz. “The Clackamas River and it’s tributaries have had a huge influence on my life and I’m determined to do my part to give back in a way that truly supports water quantity and quality in our County.” The newest of the District’s seven directors, Fantz brings this passion for water to his position on the board of directors. 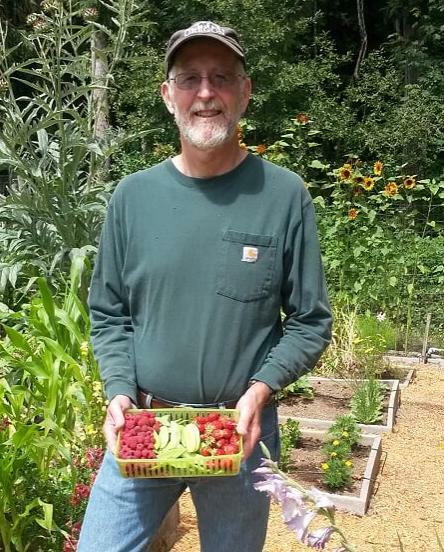 He has been a Clackamas County resident for over 40 years. Fantz shared that he was initially introduced to the District in 2010 at a local community meeting by then candidate Mike Weinberg, now a Director Emeritus with the District. “He observed that we were landowners with a stake in conservation policy here in Clackamas County and invited us to come on down and find out more about the District’s goals and projects,” says Fantz. He became an Associate Director in January 2011 and was appointed to fill Weinberg’s at-large seat in 2013. Fantz officially ran for his position in 2014 and was elected to a 4-year term by the citizens of Clackamas County. An Oregon native born in Silverton and raised in Portland, Fantz attended Portland State University and received both a bachelors degree in mathematics and his teaching certificate. He taught math in the Reynolds School District in East Multnomah County for 30 years at the high school and junior high school level, and also coached a variety of school sports teams. He retired from teaching in 2003. Growing up, Fantz always enjoyed water activities and when it came time to make his first home, he settled in Paradise Park right on the Clackamas River. It was there he met his wife Cathy, to whom he attributes much of his motivation and success as a conservationist and organic agricultural producer. 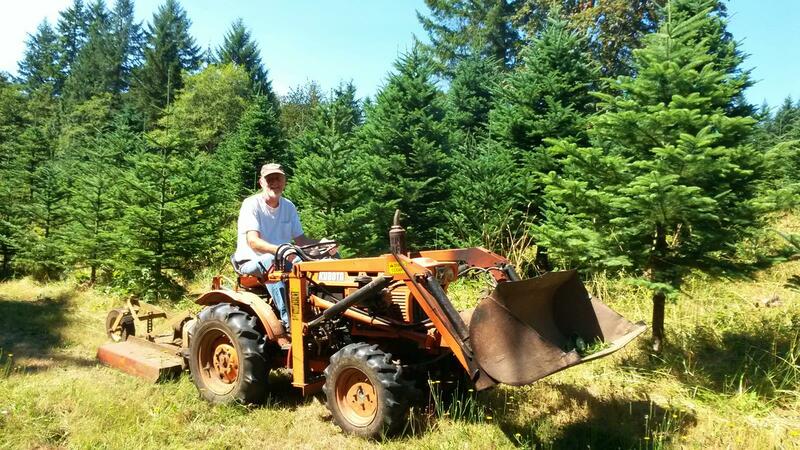 Together they purchased a 40-acre property in the Eagle Creek area, designed and built a log home, and started what is now known as Trillium Forest Farm. 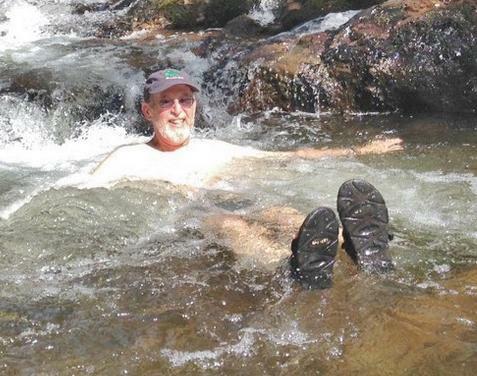 Director Fantz enjoying a dip in the North Fork of Eagle Creek.